T he effects of climate change–from supply chain disruptions to real estate and infrastructure impacts–are expected to present trillions of dollars of direct and indirect impacts to businesses in coming years. With investors like BlackRock and Fidelity calling on corporations for increased disclosure of climate-related risks, climate change is increasingly on the radar of executives as a business issue. 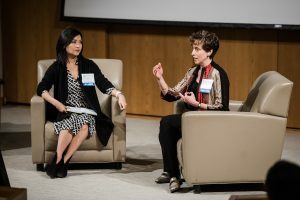 On March 23-24, Fuqua hosted the first multi-school MBA summit on business and climate change. 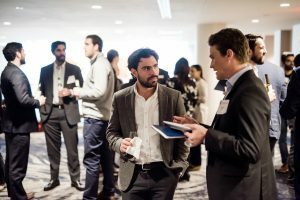 Sixteen business schools including Wharton, Harvard, Yale, Stanford, MIT, and others partnered to put on ClimateCAP: The Global MBA Summit on Climate, Capital, & Business. Not about politics or policy, ClimateCAP focused specifically on the financial and business risks associated with climate impacts. 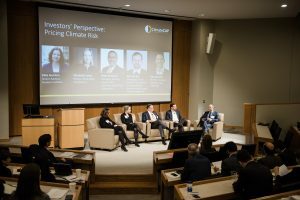 Speakers came from JPMorgan Chase, Citi, Goldman Sachs, Nike, Bain & Co., Generate Capital, Kellogg Company, Levi Strauss, State Street, AT Kearney and other business heavyweights. Videos of all of the plenary sessions, along with the summit agenda, photos, and speakers list can be found on the ClimateCAP website.